You should focus on a subject matter that you are really, really crazy about. For me that was easy – women’s cycling is my passion so I didn’t have to think it through, I just did it. 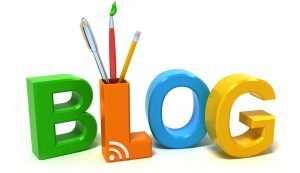 Even if you write fairly quickly like me (a legacy of 25 years as a communication professional) you should be prepared to put plenty of time into setting up your blog, maintaining it, promoting it and posting on a regular basis. When I set up my blog I did a small amount of research, and the tips I read suggested that I should find my own domain name and register it from day one. So I signed up with a host and set up my domain name. I actually chose the name by trying a few possible ‘available’ names in a domain name search tool. When I typed in womenwhocycle.com it just seemed to fit. You need to spend at least a modest amount of money to set it up and keep it going. Hosting by a reputable organisation is not cheap, and nor is developing items like logos, business cards, subscribing to plug-ins and tools. So be prepared to invest at least $100 to get it going. Blogging is all about you, so make it personal. You don’t have to pour your heart out every time you post, but make sure you always write in the first person, and don’t be afraid to reveal a little about your inner self. Mix it up with different types of posts. Come up with some sub-categories that are appropriate to your blog subject matter and cover these off one by one. My main sub-categories are: Opinion/advice, ‘How to’, Profiles and Events/research. Never lie or pretend you are someone else. Your readers will see straight through your lack of authenticity. Plus, you’ll enjoy it much more if you write as a ‘real’ you. Fake people are never happy. Post regularly to your blog. I post once per week, even when I’m away on holidays. For some blogs it might be appropriate to post daily, or even monthly. Just pick the appropriate time interval for your blog and lifestyle, and stick with it. I tend to write fairly short blog posts. That’s partly because I don’t have time to write really long ones, but it’s also because I realise that many of my readers are very busy women and don’t have time to read hundreds and hundreds of words. There’s no rule that says you should only write 250, 500 or 750 words but don’t ramble. The whole idea behind blogging is to write quickly and post. Don’t draft a post then review it, review it again and then post it three days later. I’m writing this post and it will be published within about 30 minutes of drafting. Blogging should be pleasurable. I sometimes labour over mine, and find it a chore from time to time. But on balance it makes me happy to write blog posts, upload them and all that. Don’t do it if it doesn’t make you content. If you google ‘how to start a blog’ you’ll find heaps of online advice. There’s lots of courses both free and paid and they can be extremely helpful. So that’s some of what I’ve learnt about blogging. Please share your tips via comments or the Women Who Cycle Facebook page. Next Post:Why can’t I ride any faster on my bike? Thanks for the tips. I’m a fairly new blogger so it was interesting to read advice from someone with five years experience.